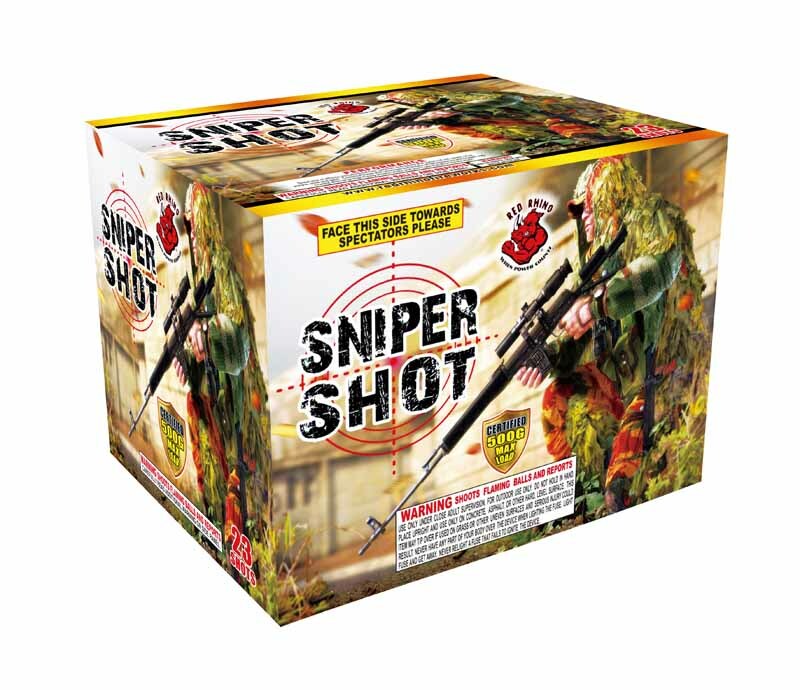 Sniper Shot is a new 23 shot, 500g cake packed 4/1. It has a duration of 42 seconds, very colorful, lots of effects including dahlias, peonies, palms, falling leaves, and dragon egg crackle. 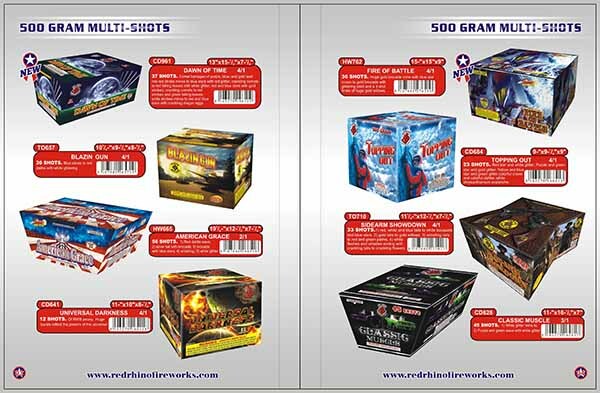 The 2017 Red Rhino Fireworks catalog is here! The PDF version is available now and can be viewed here or by the 2017 Catalog Link on the bottom of the Red Rhino web site. The paper copy will be available at the Demo Night Events or can be mailed to you. 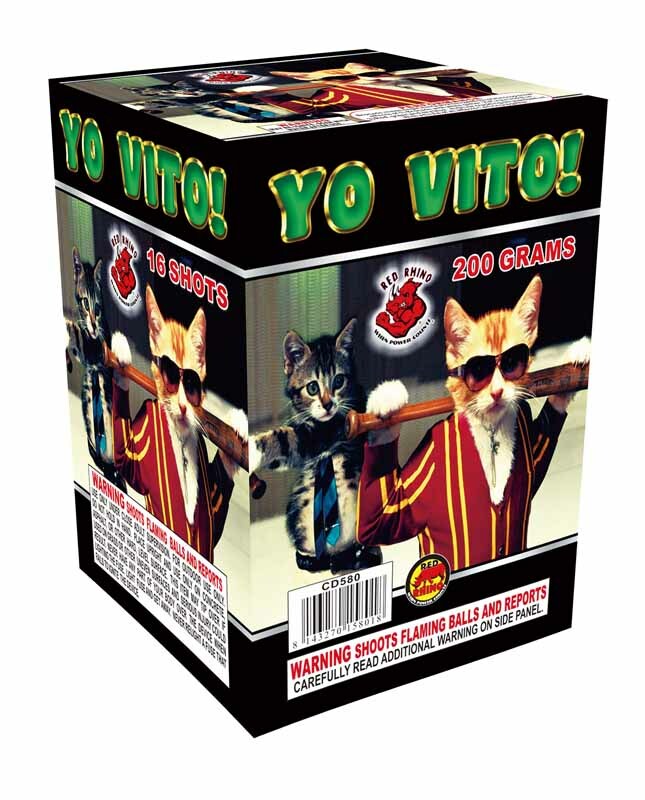 Yo Vito! is a new 16 shot, 200g cake packed 16/1. It has a duration of 21 seconds, loud breaks, and brocade mines with each shot that is different then the previous above. 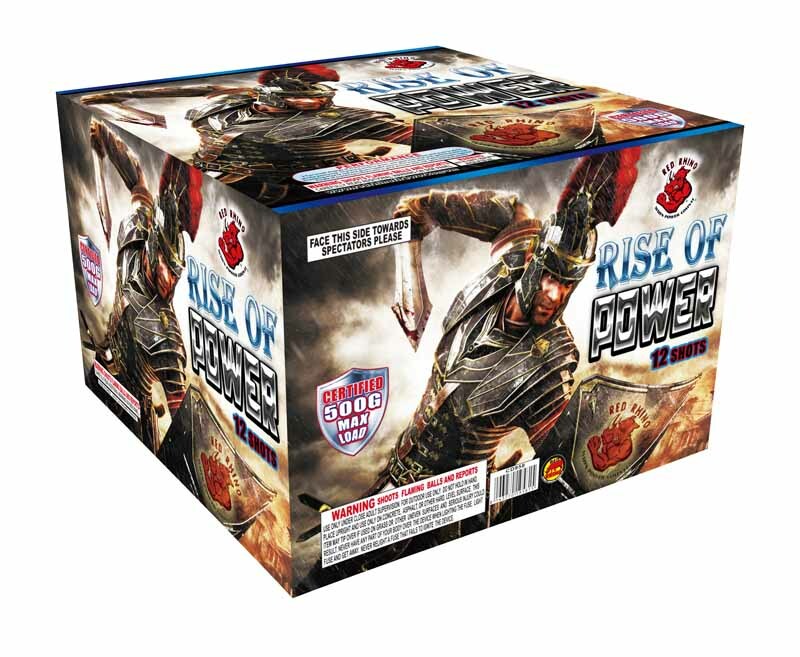 Rise Of Power is a new 12 shot, 500g cake packed 4/1. It has a duration of 25 seconds, and is a true Finale in a Box. You must see it to beleive it! 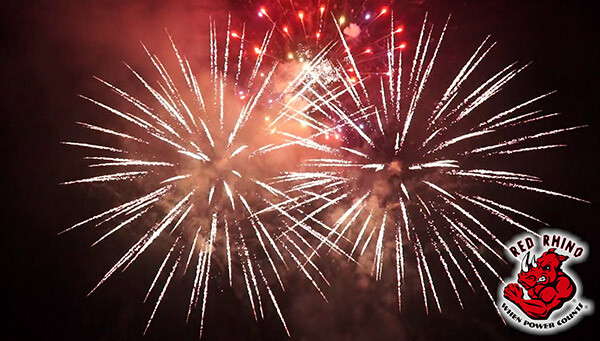 One question that everyone wants answered - when can you send me your wholesale fireworks price list? 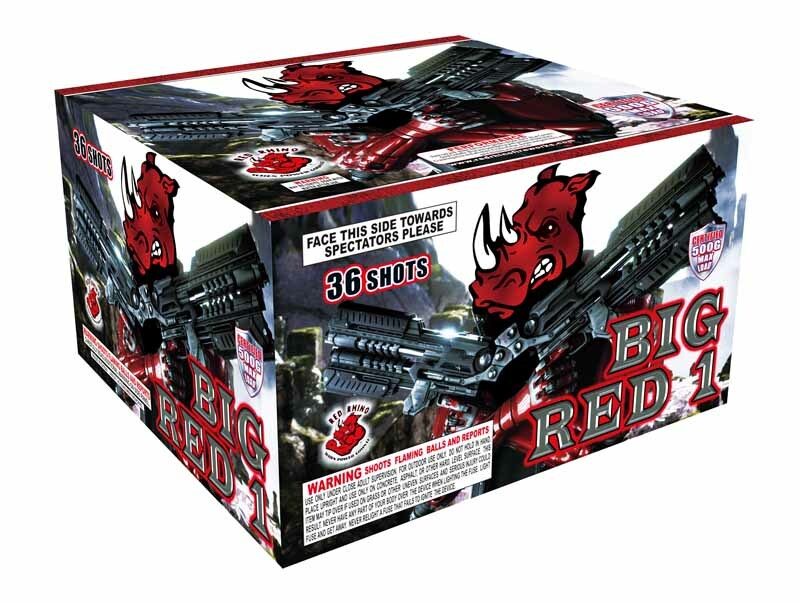 Big Red 1 is a new 500g cake packed 4/1. It has a duration of 40 seconds, with lots of different effects and color. We will be updating our Facebook and Blog with videos of the new 2017 product lines for Red Rhino, Texas Outlaw, and Hog Wild brands. We are very proud of the new products we have this year and we know you will be as well. 2017 Demo Nights Announced - Save The Date! Save the date for the Red Rhino Fireworks Demo Nights. 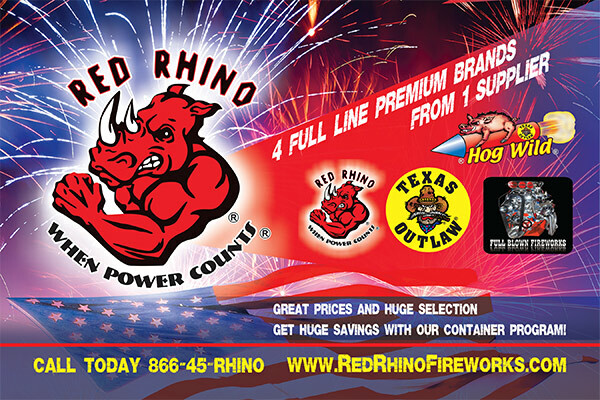 See the new fireworks from Red Rhino, Texas Outlaw, Hog Wild and Full Blown. Don't miss this fun event. Details will be announced soon.